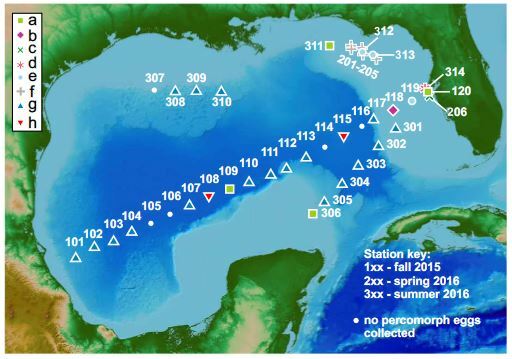 Map of plankton stations, identified by SIMPROF group. The symbols for stations 206 and 314 were jittered for clarity, but were much closer to station 120 than depicted here. based on DNA barcoding are feasible at the large marine ecosystem scale.